Brendale is a long way from Teneriffe. It is a long way from the CBD, from Park Road and from West End as well. Brendale is certainly an outer suburb. Brendale is not somewhere you would generally associate with good or interesting cafes. 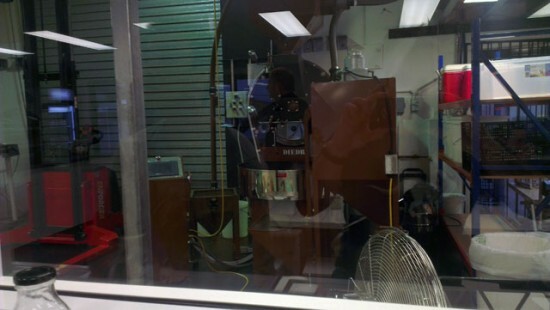 Cleanskin Coffee Co won’t help with this either, as it is actually a roaster. They just happen to also serve coffee. South Pine Road runs through a light industrial area in Brendale. It is almost rural; you actually pass fields when you drive there. However, between the machine shops and mechanics lies Cleanskin. Originally they were based in Teneriffe, but apparently they moved to their new location just over twelve months ago now. They roast beans under their own label for sale and for a number of cafes. There is nothing about the building that stands out from its light industrial setting. Inside is a little different. The cafe is starkly white with a tiled floor and there is a large glass window separating you from the roasting room. There are a few long tables set up for customers, as well as a number of chairs and a bar set up across the window facing the roasting room. They also have an arcade machine. 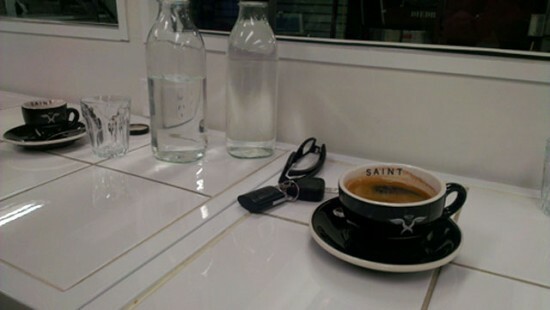 Unsurprisingly I had a long black, and also not too astonishing considering who they supply coffee to, it was good. The blend they were using was smooth, with minimal bitterness and was prepared well. Cleanskin also makes and stocks cold press latte in a bottle which I bought as well as some of their Saint Espresso blend beans.